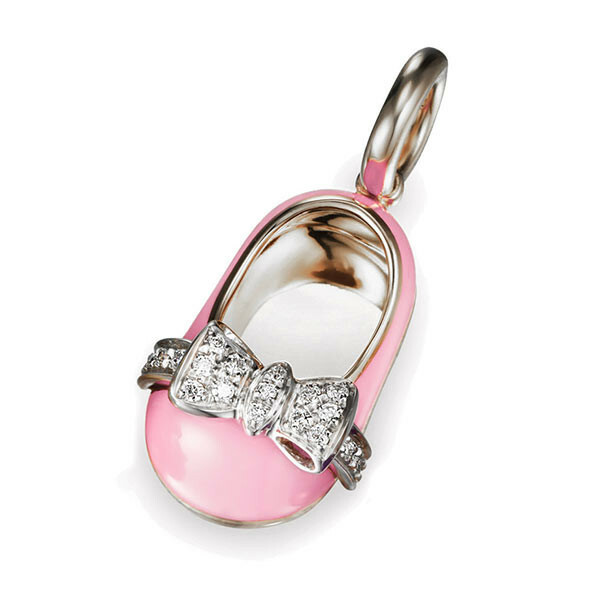 For the baby girl in your life, this Aaron Basha baby shoe charm from the Baby Shoes collection is wonderful. It is designed in 18kt white gold for a pristine shine that combines beautifully with the pink enamel finish. The addition of a sparkly diamond bow gives it a gorgeous feminine touch. For your charm bracelet or necklace, this baby shoe is a great way to commemorate a new birth.